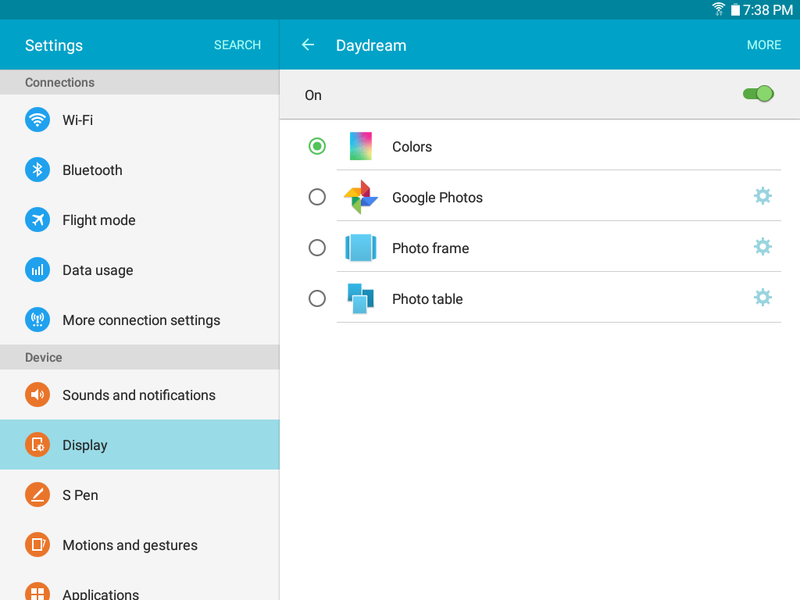 What is the Daydream feature, and how do I use it on my Galaxy Tab A? 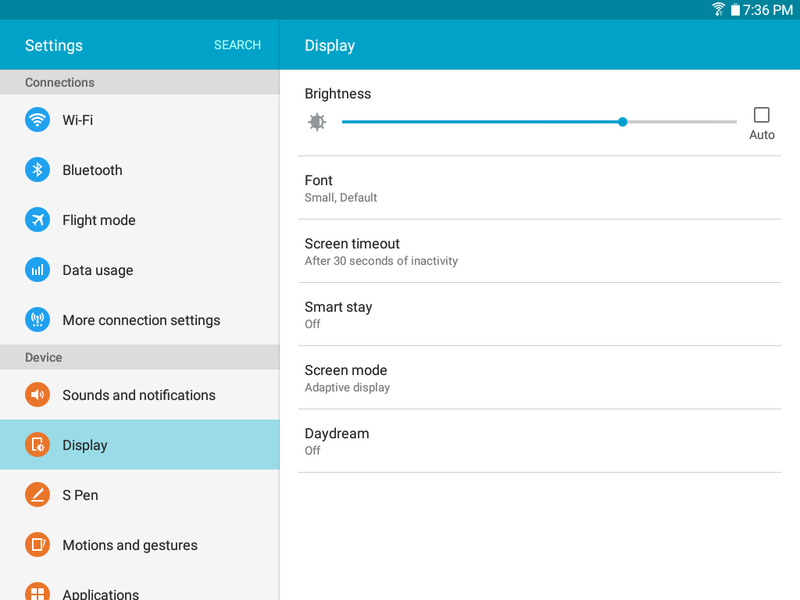 The Daydream setting controls what the screen displays when the device is docked (dock not included), or while charging. You can choose to display colors, or display photos stored on your device. • Colors: Tap the selector to display a changing screen of colors. • Google Photos: Display pictures from your Google Photos account. Touch Settings for options. • Photo Frame: Display pictures in a photo frame. Touch Settings for options. • Photo Table: Display pictures in a photo table. Touch Settings for options. 3. Touch MORE > Preview to see a demonstration of Daydream. 4. Touch MORE > Select when to daydream to chose an option. Note: Additional applications can be added to Daydream via Google Play™ Store. From the Home screen, touch Apps > Play Store and search for Daydream.